What a busy Wednesday I had two weeks ago. I was super excited because the I knew no one prior to the trip. Just hours before my flight, I figured out that two of the bloggers were on the same flight as me and I quickly emailed one of them, RuiYing, to confirm. And I was right! Went to the airport after work looking almost bared-face bur! The three of us flew with Jetstar and a return trip costed SGD $170 for me. Slightly more expensive than my November flight to Penang though. I met Ruiying and Hazel at Changi Airport and was glad that we liaised beforehand cause we shared a cab to George Town which costed RM 44.70! 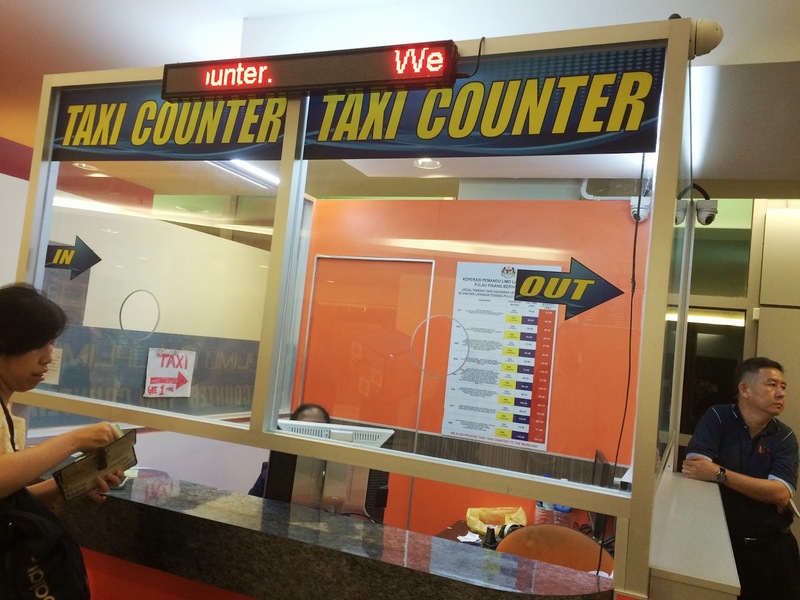 Not very expensive for airport transfer but +10 points for myself for saving moolah. 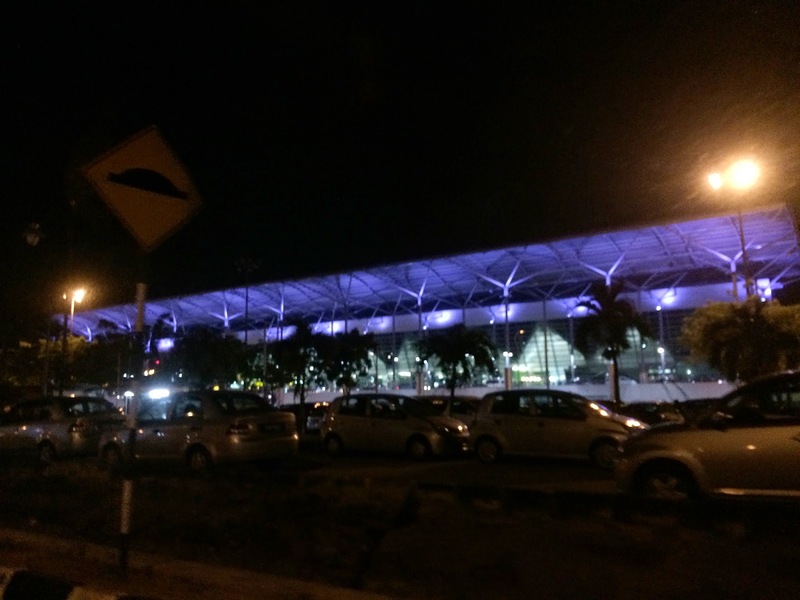 Getting a cab in Penang International Airport is really quick and hassle-free. There's a booth within located just outside the Departure gate and all you have to do it just to tell the staff your location and how many people travelling. 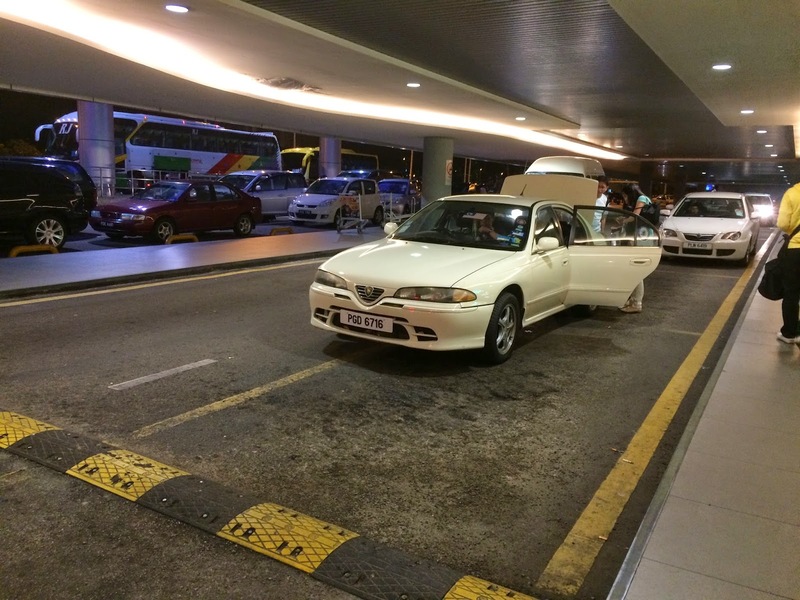 Walk out of the airport to Gate 1, approach the drivers and off you go! 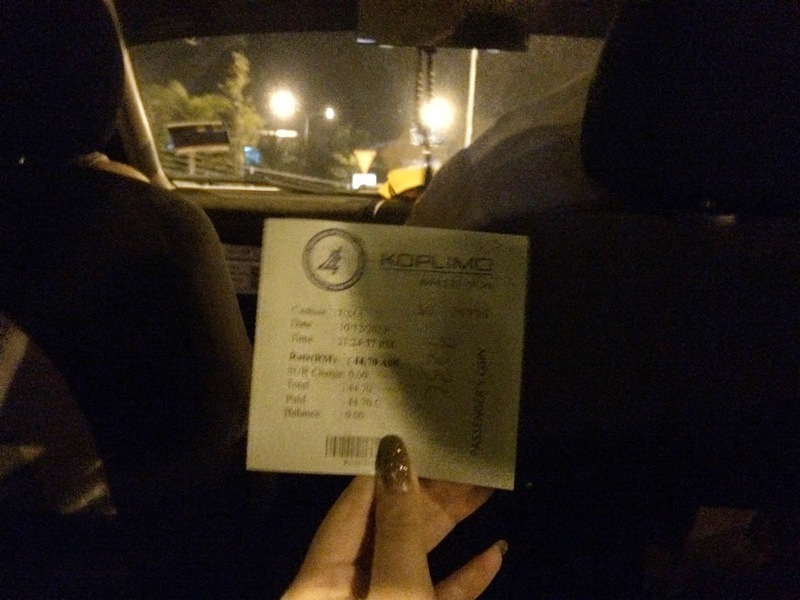 We arrived at SYOK hostel,which was conveniently located at Chulia Street, Georgetown, at about 11pm and quickly did our check-in. 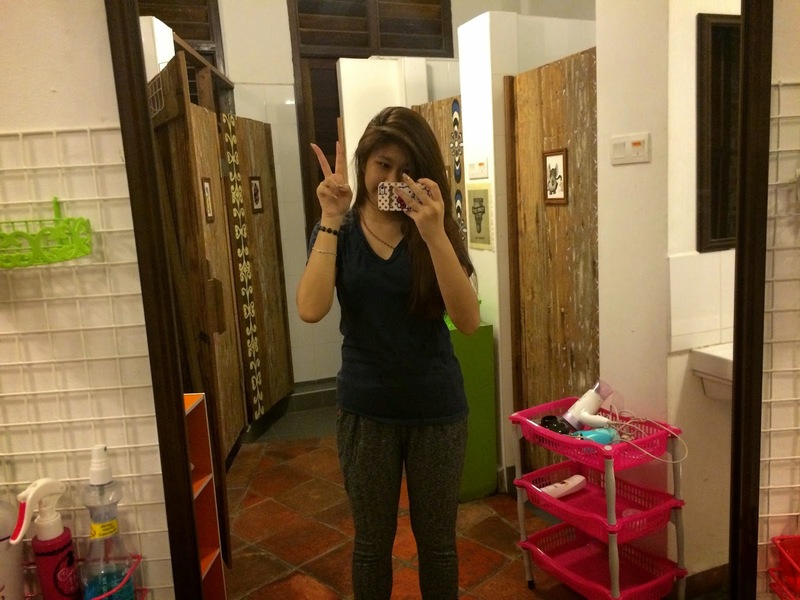 We stayed at SYOK for two nights and were impressed by the hostel. p/s: Do provide RM50 for the deposit and in exchange you will get clean towel and blanket. The deposit will be return upon check-out when you hand back the towel and blanket. I was thrilled as we walked up to our dorm, totally imagining the scenes of the popular Korean Variety Show, Roommates. At the same time, I was thinking of MY roommates too. Each dorm has 6 beds so questions like " Is someone else gonna join us?" ," Hostel safe not one?" pops out in my mind as we walk up the stairs wtf. What a pity we were not filmed. We arrived at our dorm with Wendy, a Malaysian blogger, who arrived slightly earlier before us. New roomie! We did a bit of ice breaking and went to red garden for supper. Red garden was just 5 mins down the street, good place for a quick supper but prices for hawker fare is a little steep in my opinion. I mean, who sleeps before 12 in penang where you are well covered by all the good food ? Shared oyster omelette and char kuey teow! The oysters were fresh and portion too heavy for RM10 but I'm not complaining just that we couldn't finish it. Just a little upset the oysters got fried for nothing. Back to SYOK Hostel , took a quick shower and rest. I'm really impressed by the hostel's housekeeping. We were back in the midnight and the toilet/shower rooms were still in good condition. 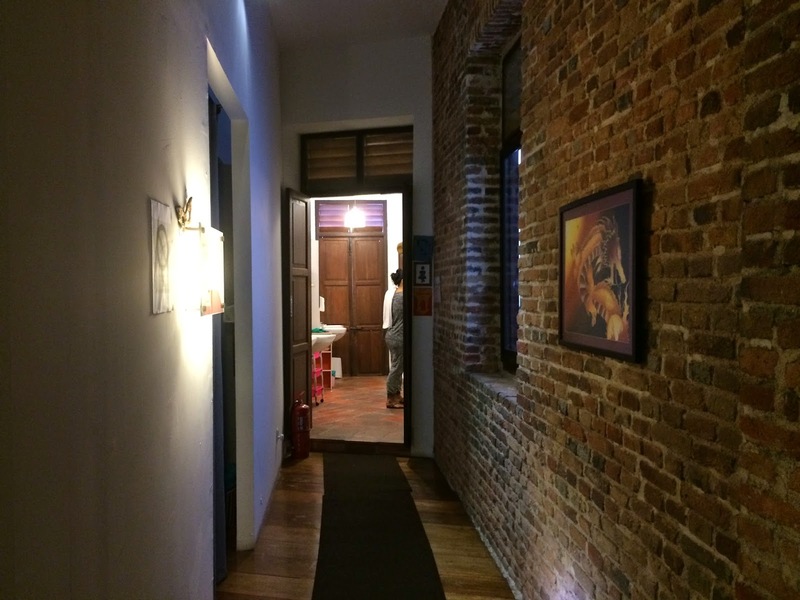 Syok started two years ago and its in a shophouse along Chulia Street. While the street has its history of its own, Syok occupies three levels of the shop house , having the first level for reception and staff office , second level for mixed dorms and ladies dorms. Yes mixed dorms! Both hostel are either female or male dorms , Syok offers mixed dorm for youngsters like us where we have cliques with a mixture of girls and guys but wanna be in the same room together to chit chat and what not. I personally feel safer to travel with male friends along too. There are lockers at the side of the bunk beds or located at your bed area to keep your valuables. There also also hangers found in there to hang some clothes or towels. Each dorm rooms has 6 beds. Ladies dorms and mixed dorms are on the same level but separated by a door. Ladies toilet and bathrooms are located at the end of the level. Looks something like this. There's also unisex bath area but why use shared space when the ladies have a spacious wash up area, right? Also, it's brightly lid which is awesome cause you wouldn't feel like you are in some horrible movie scene when you are bathing or shitting in the middle of the night. The male dorms are located a level up. There are also double-bed rooms that we didn't get a chance to see. Followed by a lounge at the third level, fully air conditioned one. Super comfortable couches and bean bags! I look forward to common areas like this when I travel, and I experienced a similar one when I was in Hong Kong. I loved the concept and it think its a good idea to get the guests to mingle and make new friends. Some more got massage chair to loosen your muscles after a long flight. Not to mention there is free WIFI too! Before I die.... maybe I want to stay at SYOK again ? Simple breakfast is available from 7am to 11am daily, it's complimentary but do not have high expectation for a hostel stay okay. We had some cereals on the second day of our stay and I had some tea to go with it. The prices at Syok is reasonable too. Despite it well maintained facilities, mixed dorms are priced at RM 58 per night, ladies/gents dorms at RM 68 per night. There are also ongoing promotions that can be found on their websites.